Discussion in 'Articles' started by E.T., Jul 7, 2017. The following tier changes have occurred as a result of the most recent tier shift. Pokémon can rise to a higher tier if they have more than 4% usage in the higher tier, and Pokémon can drop to the next lowest tier if they have less than 4% usage in their current tier and have not been banned from the lower tier. Note that Buzzwole and Victini dropped as well, but they were quickbanned along with Sharpedonite and Slowbronite. Everything not already listed above SM NU in the Tier Listing. Banettite, Cameruptite, Marshadow, Lopunnite, Gardevoirite, and Galladite have all recently been released in Sun and Moon! Marshadow is in SM Ubers after being quickbanned from SM OU, and Mega Lopunny will start in SM OU, as Lopunnite has been quickbanned from SM UU. Mega Gardevoir and Mega Gallade will start in SM UU, as Gardevoirite and Galladite have been quickbanned from SM LU. Mega Banette and Mega Camerupt are both members of the newly formed SM NU. Gengarite has been banned from SM Balanced Hackmons due to its access to Shadow Tag. Shadow Tag is banned from being used directly, but a Gengar holding Gengarite is able to bypass this after Mega Evolving. Additionally, a Gengar with Gengarite can run Illusion so that it can hide its identity before it Mega Evolves and traps its prey. In Monotype, Pheromosa and Metagrossite have been banned for the same reasons that they were banned in SM OU. Pidgeotite is being suspected for the same reasons that it was suspected last generation. Mega Pidgeot has access to the unique combination of No Guard and Hurricane, which, when combined with its base 121 Speed and base 135 Special Attack, can make it quite annoying to deal with. Mega Pidgeot can function as a stallbreaker with Work Up, Refresh, and Roost, or it can be an offensive threat with Heat Wave to cover incoming Steel-types and U-turn to gain momentum. Mega Pidgeot also has the potential to get past some of its defensive checks by spamming Hurricane until it confuses them, since No Guard ensures that it will never miss. Suicune's base 100 / 115 / 115 bulk is very sturdy by LU standards, which allows it to be a formidable Calm Mind sweeper. Its Pressure ability also allows it to outlast foes that it can't break though such as Unaware users. Suicune is also capable of phazing with Roar to prevent opposing Calm Mind users from setting up with it, and its usable base 90 Special Attack gives it the option of running offensive sets with Ice Beam and Hidden Power. Protean is also being suspected in SM Balanced Hackmons, since it allows the user's attacks to receive STAB, regardless of the move's type. Notable Protean users in SM Balanced Hackmons are Mega Mewtwo Y, Mega Mewtwo X, and Mega Rayquaza. 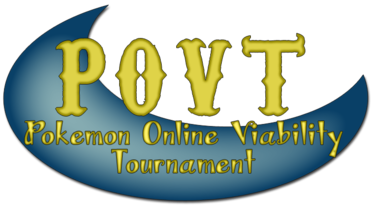 The Pokémon Online Viability Tournament (POVT) is underway. In the POVT, Pokémon are divided into tiers based on viability, and players must purchase these Pokémon to build teams. At first, only the lowest tiers are available, but as the tournament progresses, higher tiers become available. Players also earn additional points as they progress through the tournament, so they can afford the higher tier Pokémon. The Ubers Major League II has progressed to Round 5. The Glowing Diancies lead the current standings with a 3-1-0 record and 7 points. The Lolcopter Lugias are in second with a 2-1-1 record and 5 points. Third place is currently shared between the FnG Mewtwos (2-0-2) and the Glorious Gengars (1-2-1), and they both have 4 points, but the FnG Mewtwos defeated the Glorious Gengars in Round 3. The current round is the last round before the playoffs in which first place advances straight to the finals while second and third place face off to determine who makes it to the finals. The Supreme RBY OU Tournament #3, a best-of-three (best-of-five after the quarterfinal) RBY OU tournament has a winner! @Roudolf13 defeated @The Idiot Ninja in a 3-2 series to claim first place. Congratulations, Roudolf13! Meanwhile, @Bomber. defeated @Mysterious M to finish in third place. The National Championship of Alola League (NCA) also has a winner — @sky dust defeated @Casparov in the final to impressively win the NCA without losing a single battle. Congratulations, sky dust! The latest update (v2.7.2.1) for the PO Windows and Android clients is now available! The update fixes several mechanics bugs and the learnsets of some of the Alolan Pokémon, improves the Hidden Power selection for Generation 7, and includes updated translations. Note that Webclient users are already using the most up-to-date version. It is time to announce who finished with the most points on the Trivia leaderboards in June! The player who finished in first place on the knowledge leaderboard for the second straight month was Azumarill with an impressive 272 points! First place on the speed leaderboard was also claimed by Azumarill with 91 points. The player in first place on the event leaderboard was @Python with 213 points. Congratulations everyone! In other Trivia news, the /vote command can now be used to vote for knowledge games or speed games during category voting by including an * followed by the game type. If a game type is not selected, the default will be used, which is knowledge. The PO League is officially underway. 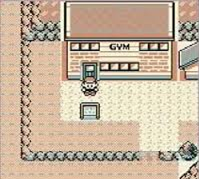 Players can make a post in the Challenge Log thread; they will then link to it when they challenge Gyms. This season, players must earn six badges to be eligible to challenge the Elite Four, and players may have eight losses before they can no longer challenge Gyms. The season will last until mid August. The PO League members and their positions are listed below. This concludes this edition of PO News. 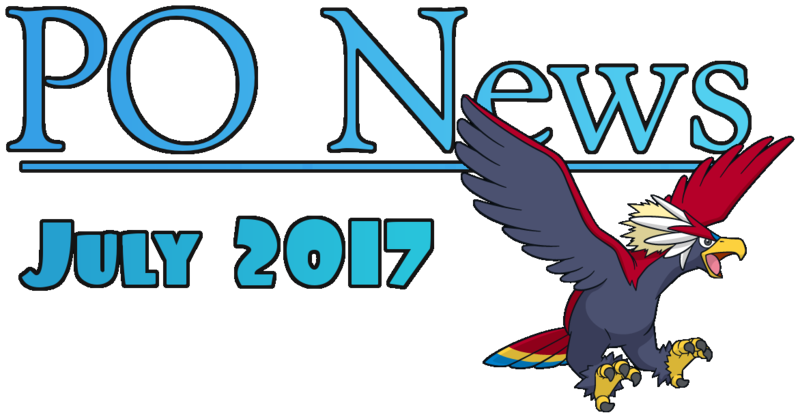 If there is any news that you would like to see discussed in future editions of PO News, post in our suggestion thread or contact @E.T. on the PO forums. Do you want to contribute to Articles too? Here's How to Become an Articles Contributor. Annoying Orange and Joyverse like this.